Now that Labor Day has passed, the first feelings of fall are upon us in Chicago. With a new season and cooler weather approaching, here are my favorite finds from this (chilly) past week. Healthy Sibling Rivalry – It’s apparent that Facebook stories never took off in the way the social media giant had hoped, and now it’s turning to sister company Instagram for some help. The photo sharing platform is now testing the option to let users share their Instagram stories directly to Facebook. It will be interesting to see if users take to this new tactic and give Facebook the boost that it’s look for. CNN’s Commercial Carelessness – With the impact of Hurricane Harvey last week, many brands looked to reevaluate their marketing and advertising plans and shift the focus to relief efforts. Apparently, CNN didn’t get the memo. Despite the news channel’s constant coverage of the storm’s aftermath, it failed to pull an ad for the Hurry Cane, which included claims such as, “Americans are loving the Hurry Cane!” CNN has since said the ad only aired in certain markets, but not before angering many of those who saw it. 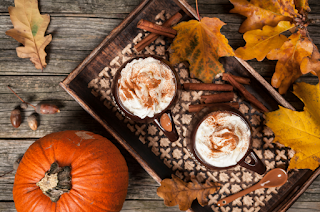 Pumpkin Spice and Everything Nice – With Labor Day marking the unofficial start of fall, brands are looking for every opportunity possible to capitalize on the pumpkin spice craze, which is still going strong. From cough drops to every beauty product imaginable, there’s no shortage of items for pumpkin lovers to get their hands on. And beware PSL fans, your beloved Starbucks drink will be a bit pricier this year. Think Pink – Millennial pink lovers also had reason to celebrate this week as Swiss scientists debuted the first new kind of natural chocolate in over 80 years – ruby chocolate. Along with milk, dark and white chocolate there is now a rosy-pink confection that is made from the Ruby cocoa bean and has an all-natural unique, fruity taste.